The Federation of Egyptian Industries (FEI) is one of the country’s largest employers’ associations, with 20 industrial chambers as members, representing over 60,000 industrial enterprises out of which more than 90% belong to the private sector; accounting for more than 7 million workers and 20% of the national economy. Since its inception FEI has been carrying out its responsibilities towards defending and supporting Egyptian industries, firmly believing in industry as the pillar of the sustainable development of the country and as the tool to alleviate poverty and attain prosperity. Chairman of the Federation of Egyptian Industries (FEI) from 2013 until now. Deputy Chairman of the Federation of Egyptian Industries (FEI) 2010-2013. Head of Egypt’s Support Coalition, Sept 2016- Sept 2018 (Political Majority in the Egyptian Parliament). Member of the Egyptian Parliament, 2016 until now. Member of High Council of Investment. Board Member of Ayady co for Investment and Development. 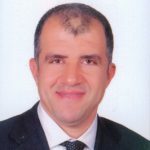 Board Member of Egyptian Electric Utility and Consumer Protection Regulatory Agency (EGYPTERA). Board Member of Gas Regulatory Authority. Graduated in 1987 from Cairo University, Bachelor’s Degree in Electrical Engineering, Power.